Carrozzeria Italiana Cesare Sala was a Milan-based coachbuilder of extreme opulence. 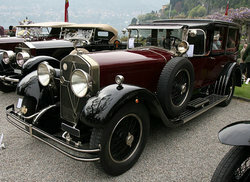 They provided carriages for the Vienna court and bodies for Isotta-Fraschini automobiles. The activities of this company, located in Milan, he began devoting himself to the original construction of coach building. 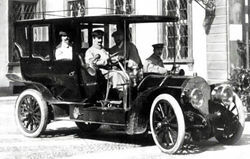 Initially, therefore, it was a "carrozzaio", rather than a carrozzeia (coachbuilder). Among his early work on this area, were the cars for some Austrian personalities aristocrats. But in the very early years of the 20th century, with increasing success designing bodies, the company began to devote its self to the construction of automobile bodies. Soon became known for its elegant and prestigious projects, which included masterpieces of undisputed value. Cesare Sala had created bodies for Alfa Romeo, Fiat Lancia, Isotta Fraschini and Ansaldo. Cesare Sala closed its doors in 1933.